An Ordinary Japanese Mom's Diary: What color will your Karate belt be next? My 9-year-old son started practicing Karate 2 years ago. He sometimes didn't want to go to the Karate school because it made him tired. 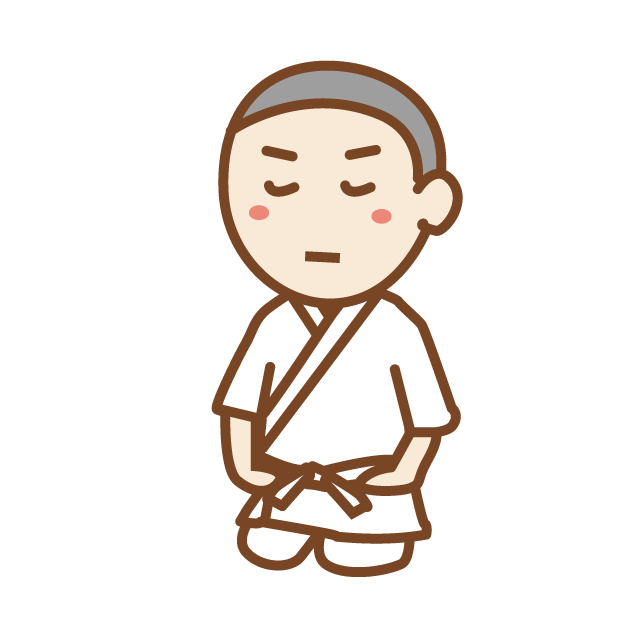 He had hesitated to take the promotion test, so he had been wearing the white belt, it means he is still a beginner. One day, his Karate teacher strongly advised him to take the test after the practice. "You can do it. Recently you seem to be stuck in a rut. Karate is not just a lesson or activity, it is a training method. I think you should try it." I also tried to persuade my son to take the test. At first, he didn't follow his teacher's advice because he didn't have any confidence that he would pass the test. But, the teacher praised my son again in the next practice. "Wow! You did a great job today! You seemed to be more motivated than before. I know you can do it!" He was getting motivated actually, finally he decided to take the test. The night before the test day, he seemed to be nervous. "Your teacher told you that you can do it. I believe this is so. If you don't do well, you can try it again. Don't be afraid of mistakes." He woke up at 5:30am in the morning on the day of the test. He was still nervous, but he did very well at the test! "It was easier than I expected. I gained the confidence from today's test. Yes, I can do it. I want to try the next test in June!" I was surprised and glad to hear that. Trying to achieve a challenge makes children grow. I appreciate that my son has met an awesome teacher. I'm sure that the color of his belt will turn to blue in the next practice! I am glad to see that you are writing in your blog again. I hope you had a nice setsubun and the demons went outside and that fortune went inside. Also congratulations to your Son on doing so well on his test day. I hope your Daughter and Husband are also well. I am still having fun learning Japanese, posting too much on Google Plus but at least I am learning very very slowly. One day, his Karate teacher strongly recommended him to take the test after the practice. One day, his Karate teacher strongly recommended to him to take the test after the practice. "You can do it. Recently you seem to stuck in a rut. Karate is not just a lesson or activity, it is a training. I think you should try it." I also persuaded my son to take the test. I also (encouraged/tried to persuade) my son to take the test. At first, he didn't follow his teacher's advice because he didn't have any confidence to pass the test. At the night before the test day, he seemed to be nervous. Note: The use of で/に and when to use one or the other is still confusing to me so if the above example is confusing please ignore it. "What if I couldn't do well?" "What if I don't do well?" "What if I am unable to do well?" "Your teacher told you that you can do it. I believe so. If you couldn't do well, you can try it again. Don't be afraid of mistakes." "Your teacher told you that you can do it. I believe (this also/this is so). If you don't do well, you can try again. Don't be afraid of mistakes." He woke up at 5:30am in the morning of the test day. He woke up at 5:30am on the morning of the test day. Reason: If the sentence were 'He woke up at 5:30am in the morning.' then you could use 'in' but because you also want to indicate that it was certain type of day (test day). In this case 'on' can be used. He was still nervous, bt he did very well at the test! "It was easier than I expected. I got a confidence from today's test. Yes, I can do it. I want to try the next test in June!" "It was easier than I expected. I (got a confidence boost/grew in confidence/gained confidence) from today's test. Yes, I can do it. I want to try the next test in June!" To challenge something makes children grow. I appreciate that my son has met the awesome teacher. Reason: 'the' implies in this case that there is only one good teacher, but it is very likely there is more than one good teacher and so 'an' would be a better word choice. Hi Terry, how are you? I wrote this article after a long interval. I'm really glad that you come here again and help me a lot. From your example of で/に, I can see you keep learning Japanese! If you need some help for your study, please let me know(^^). Though I do listen to music on my tablet while I practice. I saw your YouTube page, I'm impressed that you practices so hard! I would like to introduce a website which can practise writing Kanji for Japanese elementary school students. My children usually use materials like that, too. I think it is good that they include how to use in the sentences, so you can learn the examples, too. You can click the link "小学１年生の漢字練習・テスト プリント　無料ダウンロード・印刷", so that you can see the materials for 1st grade students and download them. There are materials for from 1st to 6th grade students. Thank you Kumi for the link those pdfs look very useful. I bookmarked them and posted them on my G+ page. It looks like little children in Japan have quite a lot of Kanji to learn in their first year.